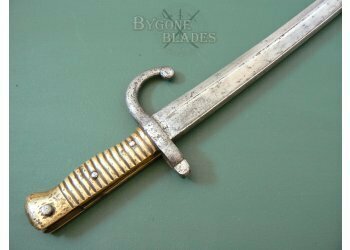 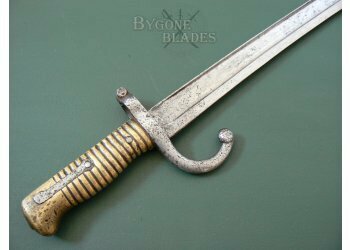 An early example of the famous French sword bayonet for the Chassepot rifled musket made by the St Etienne armoury in 1868. 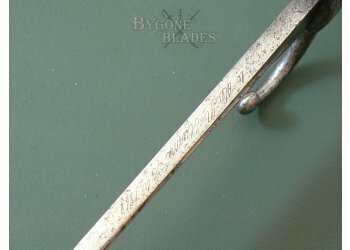 The 576mm yataghan blade is in fair condition with mild, shallow pitting on the ricasso and speckled age related tarnish. 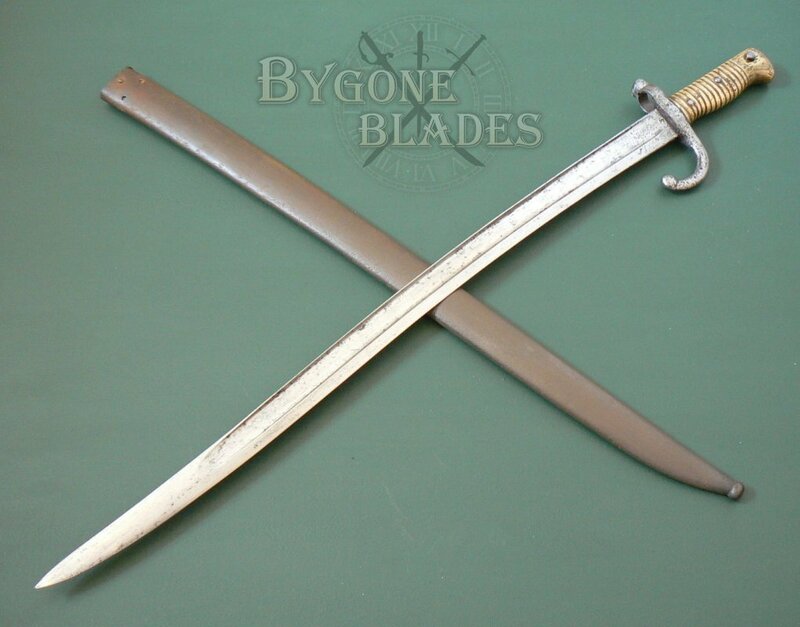 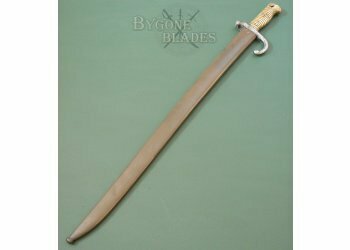 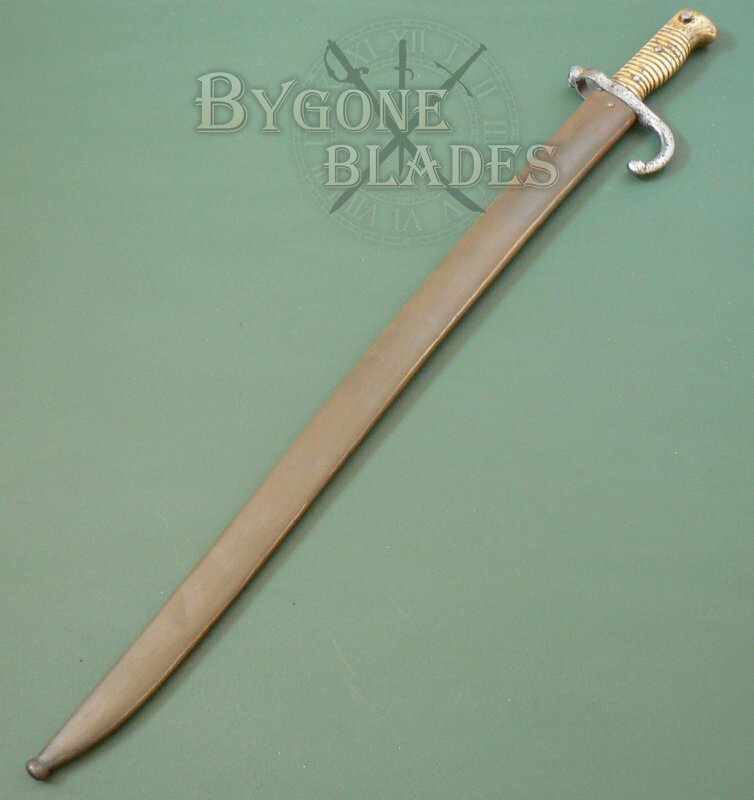 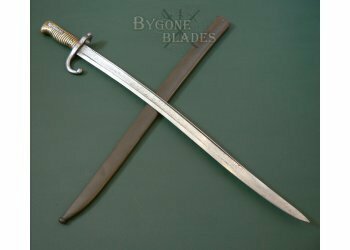 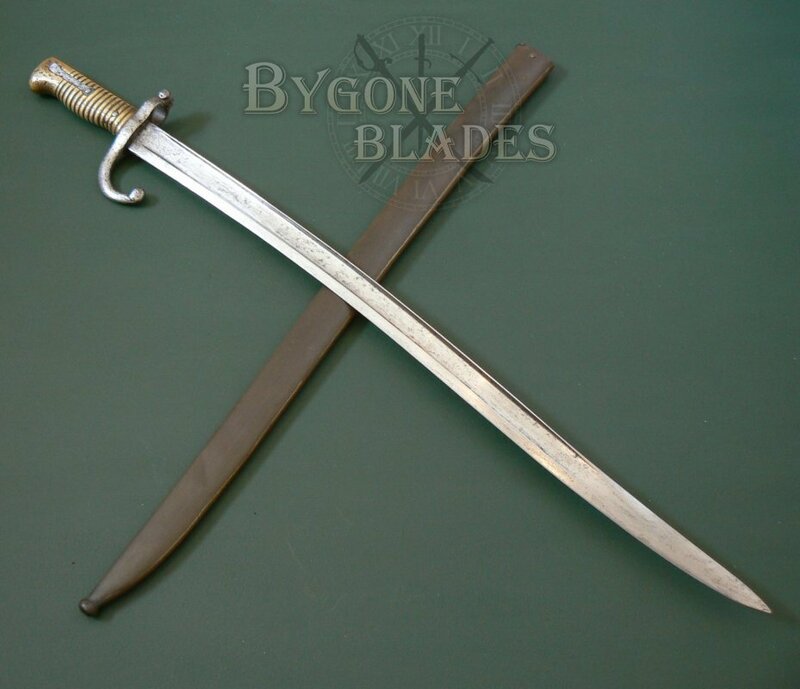 The blade is engraved on the spine with the arsenal name and date of manufacture. 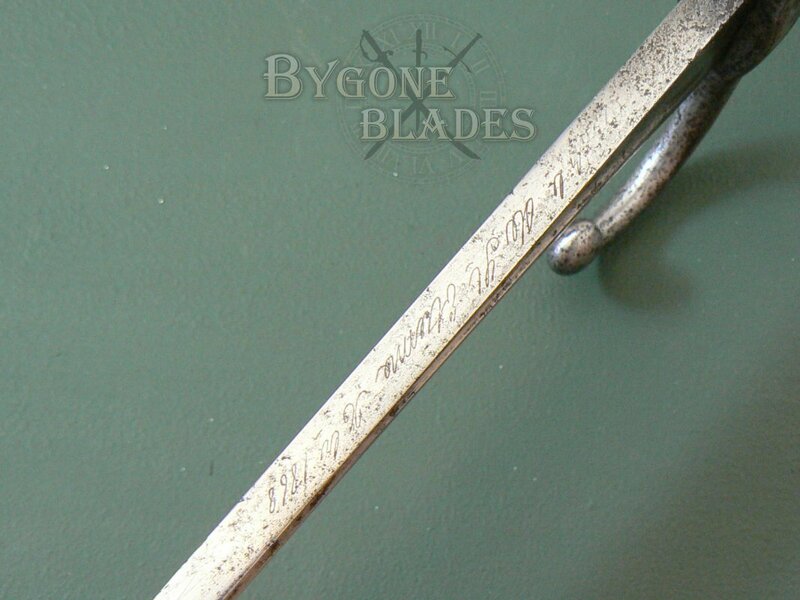 The steel crosspiece has pitting and tarnish and is stamped with “J 5724.” The hooked quillon bears three indistinct poincon. 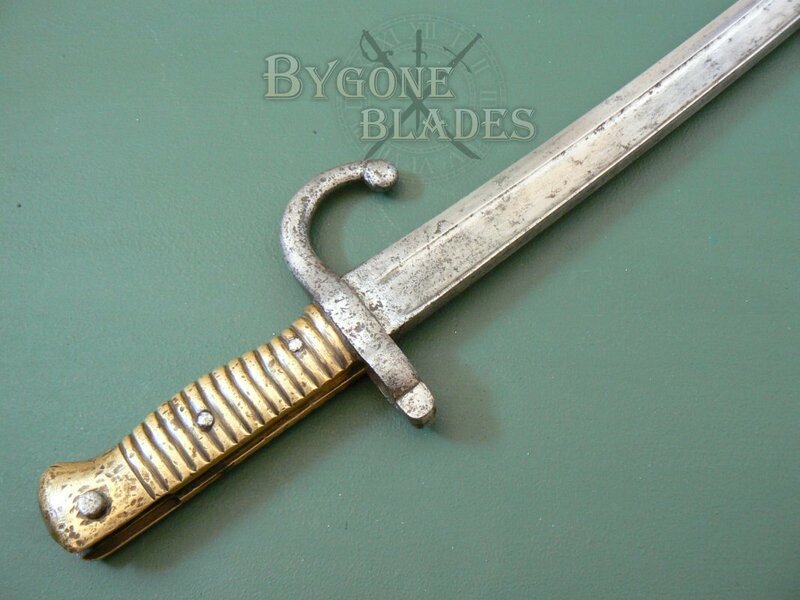 The brass hilt is showing its age with dings and wear consistent with use. 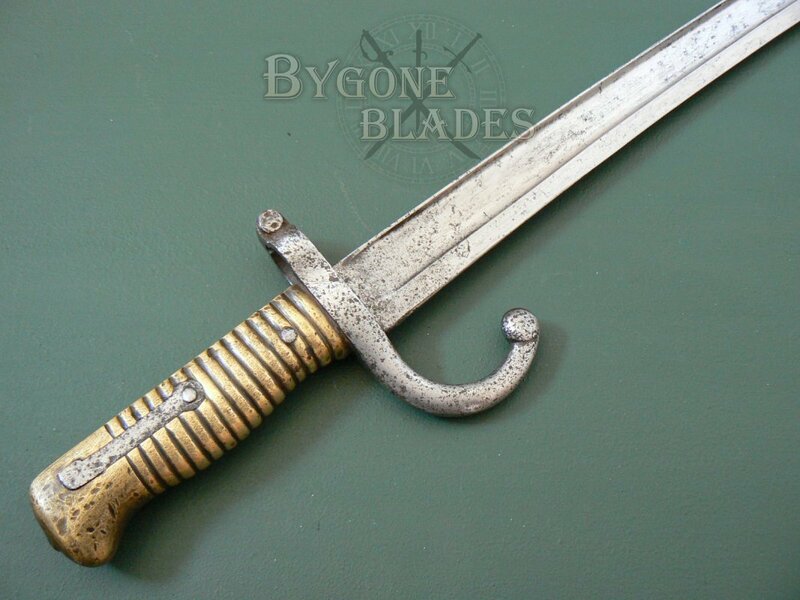 The press-stud and external spring mechanism works but is very stiff. 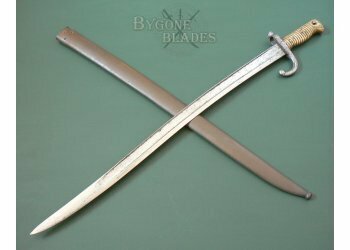 The steel scabbard is missing its frog bar but is otherwise in good condition.